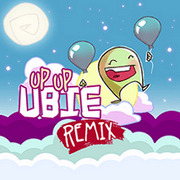 Play UpUp Ubie Remix Online For FREE! - Up Up Ubie Remix is a remake of the original fast paced exciting arcade game that rewards timing and reflexes. The goal of the game is to keep Ubi afloat by placing balloons on the screen directly beneath him, destroying enemies and dodging obstacles..